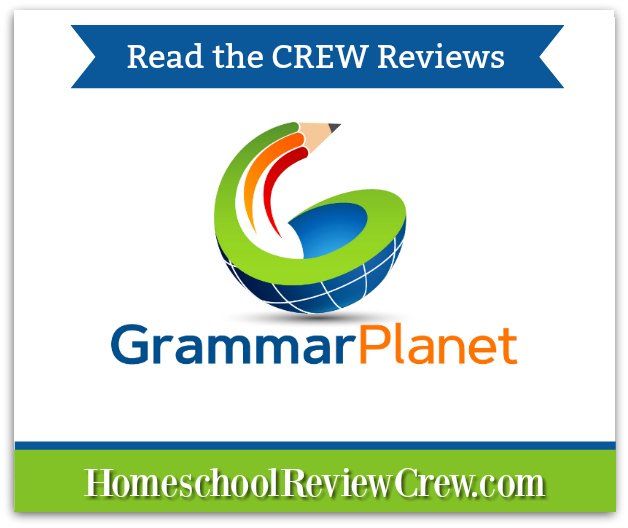 We had the opportunity to review GrammarPlanet‘s Grammar program online, which is an online grammar program. I love language arts and all of the components that make it an area of study. One of those areas is grammar. I guess you could call me a grammar nerd. I may not know all of the names of the rules as to why something is recognized or should be written in a particular manner, but I know grammar. 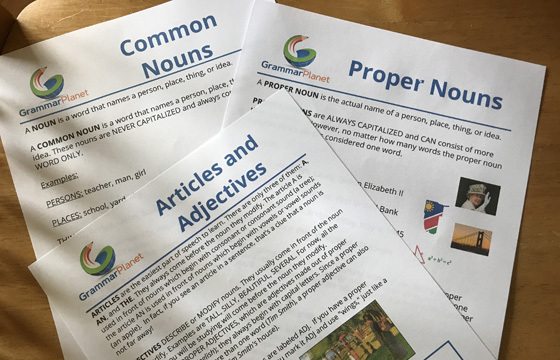 We had the opportunity to review GrammarPlanet, which is a new online grammar program from Erin Karl (Analytical Grammar) and Jerry Bailey (Dynamic Literacy, LLC ). We currently use Analytical Grammar in our school, so I knew I would probably like the program; and I was right! 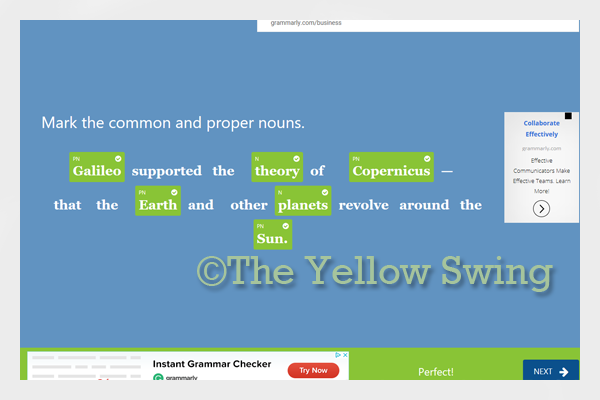 GrammarPlanet is in beta mode stage and several Homeschool Review Crew members and I were asked to try out the new program to see how it works. You too can try it out, for free! GrammarPlanet is geared towards people 10 years old and older. If you have a younger child who may also be a grammar nerd, they too may be able to work through the program. There is no prerequisite to use the program. Everything you need to know to work through the program is taught online at GrammarPlanet. Of course, if you have previous grammar knowledge, that will be helpful, but it is not necessary. Currently, GrammarPlanet has 13 program units. The plan is for more to be added as the program is perfected. Already with the existing units, there is a lot of learning that can occur. With the combination of Erin’s and Jerry’s backgrounds and skills, GrammarPlanet looks quite promising. Logging into the program and creating our accounts was easy. The online grammar program speaks to the student, so your child can work through it independently. 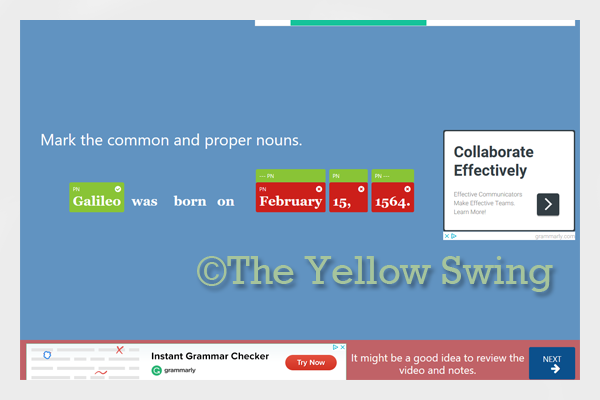 Because of the wide age range (through 99), you may even want to use GrammarPlanet to brush up on your grammar skills. You may see everything that is scheduled to be taught in GrammarPlanet. The topics are in a progressive order with content building from the previous units, so you will not be able to jump around to different units. Each unit has a note sheets for the student to print. Although you may view it online, printing it enables the student to easily follow along while watching the unit video. The printouts also work well as quick reference sheets for review of current and previous units without having to log into their account for the information. Erin Karl presents a video for each unit. I suggest you read through the notes page before watching the unit video, so you will know what is going to be presented. The videos are thorough, but concise in presentation. Even if the student (or you) feels confident enough to take the quizzes after reading the printout, I suggest you watch the video. Erin goes into more details in the video. There are helpful question pop-ups that quiz your knowledge of the video content. 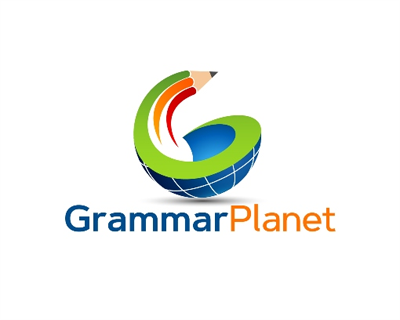 If you are just starting the Analytical Grammar study, GrammarPlannet will be a nice supplement to the course. 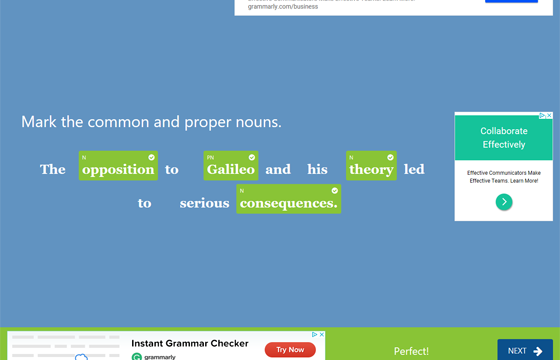 The scope and sequence of GrammarPlanet somewhat follows what is taught in Analytical Grammar. Exercises/quizzes give immediate answers after typing submit, so you know what you got wrong and are able to see the correct answer(s). For tests, results appear at the end of the test and the correct responses are also shown. • If a student stops within a unit, they are able to return later and pick up where they left off. • The program locks and does not allow the student to move to the next left if comprehension is not achieved. • Progress reports are sent as well as alerts if a student appears to be struggling with the unit. I like that GrammarPlanet does not just push the student through the units just because they have reached the end of the content in a unit. If a student does not perform well on the quizzes and/or tests, they do not get moved through to the next unit. GrammarPlanet even sends a progress e-mail with suggestions to help your student better comprehend the material before being allowed to progress. Free is always nice, but along with the free version of GrammarPlanet comes the online advertising. So far, the ads I have seen in the free version have been more topic related (ex: grammar, school stuff, etc.). Still, I do not like ads and would rather not have my children see ads coming up while they are supposed to be doing their school work. For one, the ads cannot really be controlled in a free environment and can be tempting just our of curiosity. Also, I prefer any online work they do be in a controlled environment (closed proprietary), so I am looking forward to using the paid version of the online grammar program. One of the reasons I chose Analytical Grammar was because it continues to teach sentence diagramming throughout high school and I like the way the grammar instruction is presented. Erin’s mother (Robin Finley) had a passion for grammar and wanted all to know it well. It comes through in the presentation and I think Erin has acquired the love her mother had. It comes through in her partnership with Jerry Bailey and their creation of GrammarPlanet. Although one will never really have cause to diagram a sentence in adulthood, I think it is an important skill. Also, knowing each word has a purpose in a sentence and learning that process (how to diagram) brings understanding to the words in a sentence and helps one write better sentences and may lead to them becoming better writers. 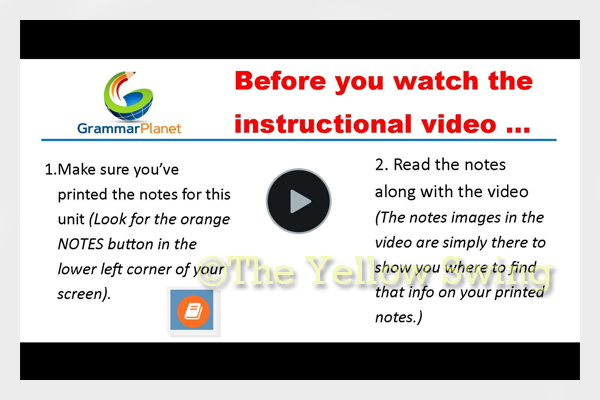 That good grammar instruction continues with the use of GrammarPlanet. The online grammar program is another productive way your child can spend time while online.